Phase Three of the Las Vegas Convention Center (LVCC) expansion, the most extensive of the four phases, saw its design plans unveiled this week for the $860 million project. The Las Vegas Convention and Visitors Authority (LVCVA) received final blueprints and renderings from architects and construction firms hired to revamp and expand the 60-year-old complex. Phase Two will add 1.4 million square feet to the LVCC, including at least 600,000 square feet of leasable exhibit space. Design renderings show the expansion building will feature a ribbon-style curvy roof, and inside décor will be highlighted by replica memorabilia including the famed Welcome to Las Vegas sign. “This is one of the most important days in the history of the LVCVA. These drawings show a modern, innovative design that is as iconic as our vibrant city,” LVCVA CEO Rossi Ralenkotter said in a release. Phase One of the $1.4 billion LVCC expansion included the purchasing and demolition of the Riviera. The initial phase has been completed, and a large paved parking lot now occupies where the casino resort once stood. The $540 million budget for Phase Three includes renovating all existing convention center spaces, as well as building a new east lobby entrance on Joe W. Brown Drive. 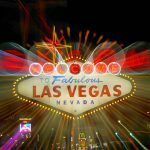 The Las Vegas and Southern Nevada economy relies heavily on conventions. Nearly 22,000 exhibitions are held in the city each year, which brings more than 6.3 million delegates to the region. Convention traffic accounts for almost 15 percent of Las Vegas’ 43 million annual visitors. In recent years, concerns have arisen that the city-owned convention center space has become outdated compared to facilities found in other large cities that target and depend on conventions, specifically Orlando and Chicago. Local competition also threatened LVCC bookings, as MGM spent $350 million on convention space expansions and improvements, and the Sands Expo spent $35 million updating its facilities. 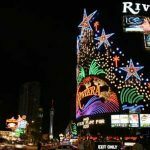 The Las Vegas Convention and Visitors Authority successfully convinced the Nevada Legislature in 2016 that the improvements and expansion are necessary. Lawmakers subsequently approved funding for the project. Phase Two is scheduled to be finished in January 2021. The entire LVCC overhaul is slated to be completed sometime in 2023. Expanding the Las Vegas Convention Center might be fueling new investments along the northern part of the Strip. 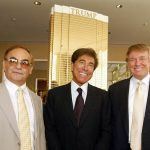 The region past Wynn has somewhat become Sin City’s Bermuda Triangle, as resorts have struggled and even disappeared along Las Vegas Boulevard. Passing Desert Inn Road heading north on the Strip, you’ll find the long-planned Resorts World development still predominantly just a vacant lot. Continuing on, the towering blue resort that was to be Fontainebleau remains unfinished. At the next intersection is the fiscally troubled SLS Las Vegas, and west stands the recently shuttered Lucky Dragon. But there’s much money coming to the aforementioned properties. 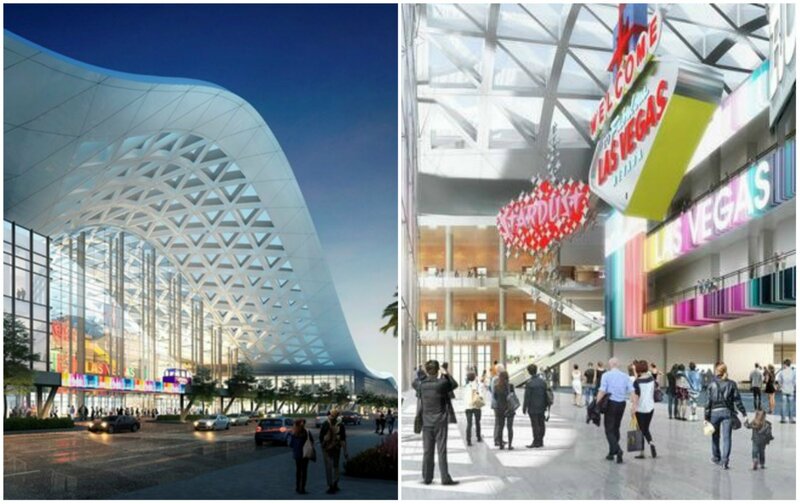 SLS and Stratosphere both have new owners that are investing in enhancements and renovations, and Fontainebleau is to open as The Drew by 2020. Major construction activity is additionally underway at the Resorts World site. The Drew alone will add 2,000 hotel rooms to Las Vegas. The resort is less than 2,000 feet from the current LVCC.